The Chess Group has been recently started, but with a small number of players. We are eager for new members. We can offer friendly games over-the board, and by e-mail between ourselves. 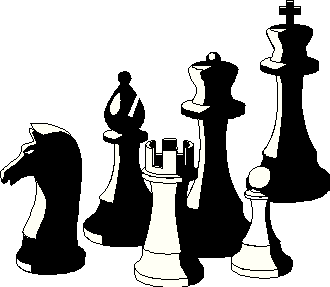 If you want a greater range of opponents then we can supply information about the International E-mail Chess Club, or if you want to venture out in the evening, then there is Steynton Chess Club which meets every Tuesday at 7pm. If you know the moves and would like to improve your level of play then we also offer Chess Coaching.